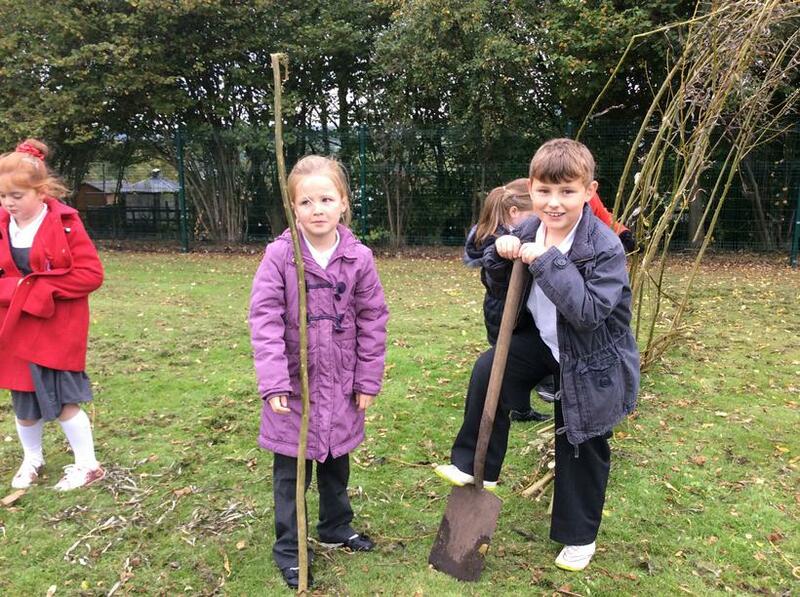 Following our Autumn walk we made pictures with natural materials. 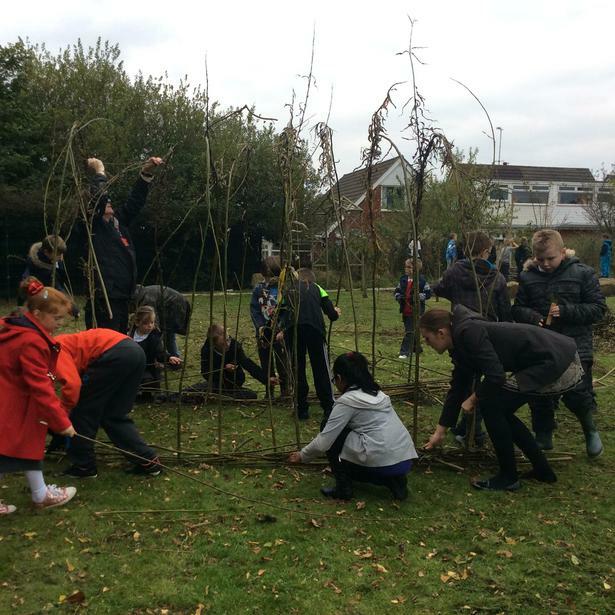 The Infants joined together to make an 'Autumn Firework' during lunch-time. 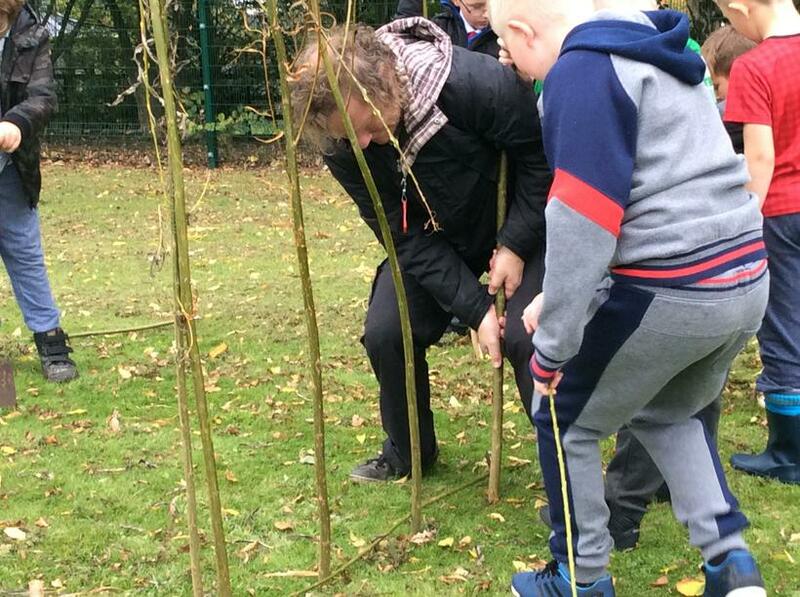 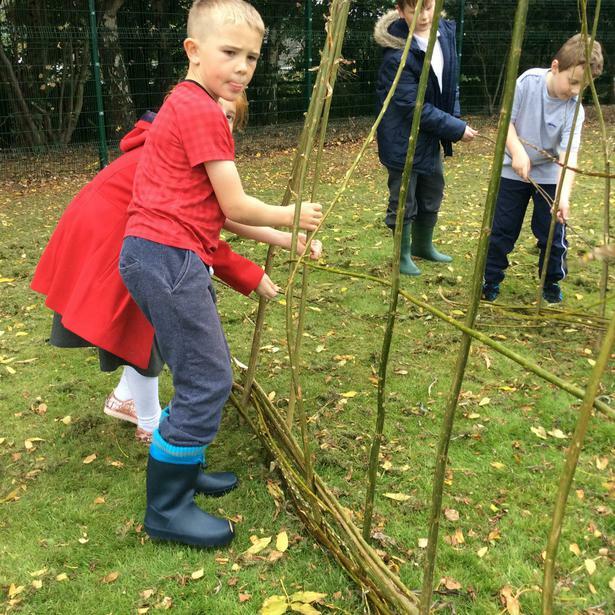 They used willow branches that had recently been pruned from Reception's willow den and arranged leaves, conkers and even apples from our orchard to show an explosion of Autumn. 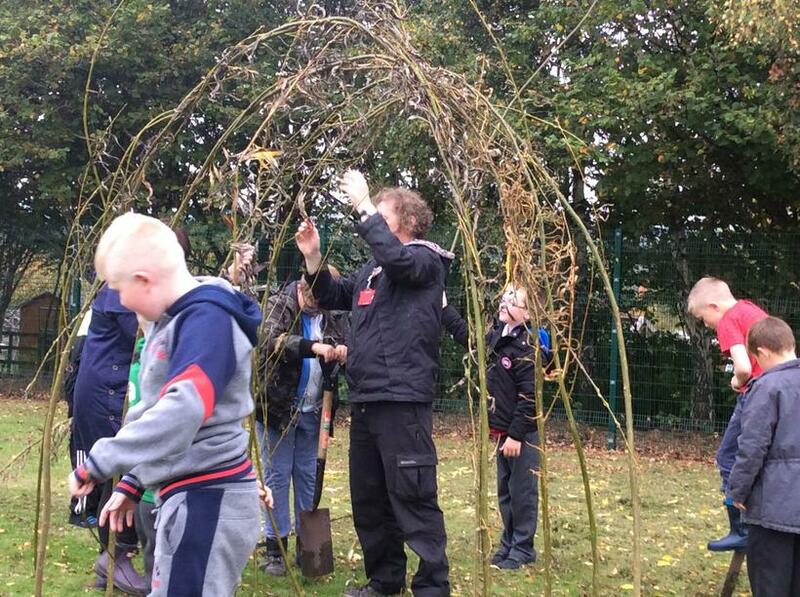 The Juniors had foraged beautiful leaves, conkers, cherry stones and beech husks to make their 'Autumn Peacock'. 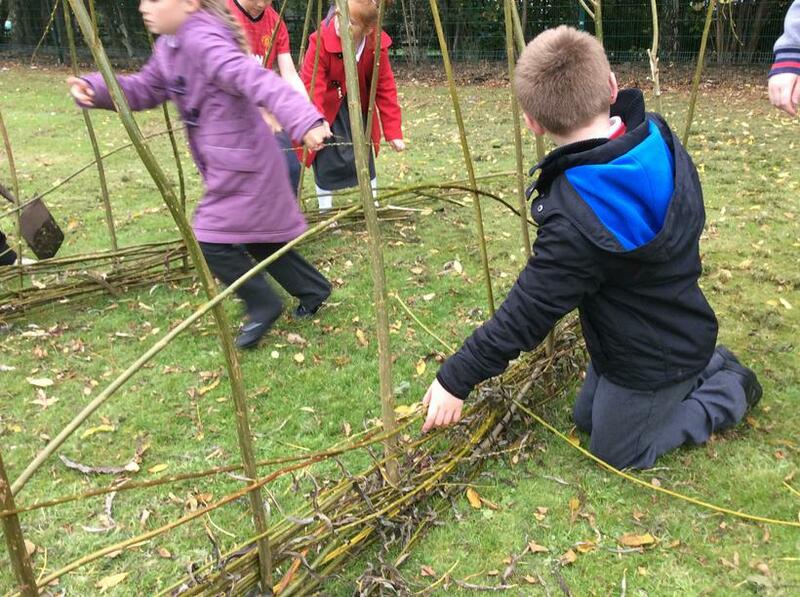 Children from Years 3 to 6 joined in for this impromptu art challenge. 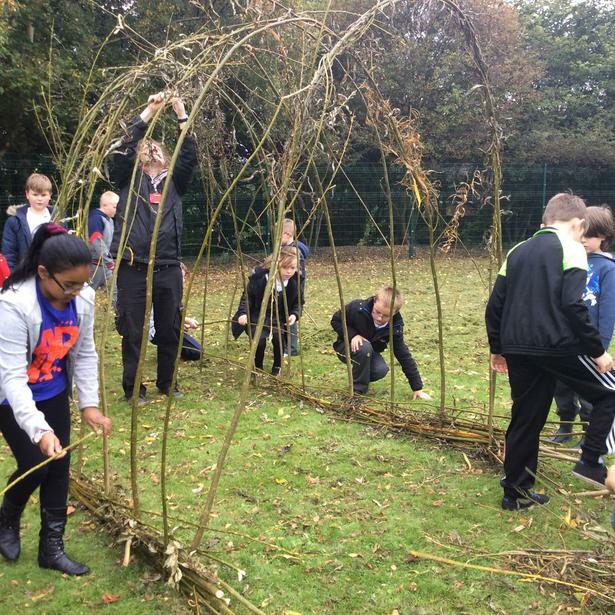 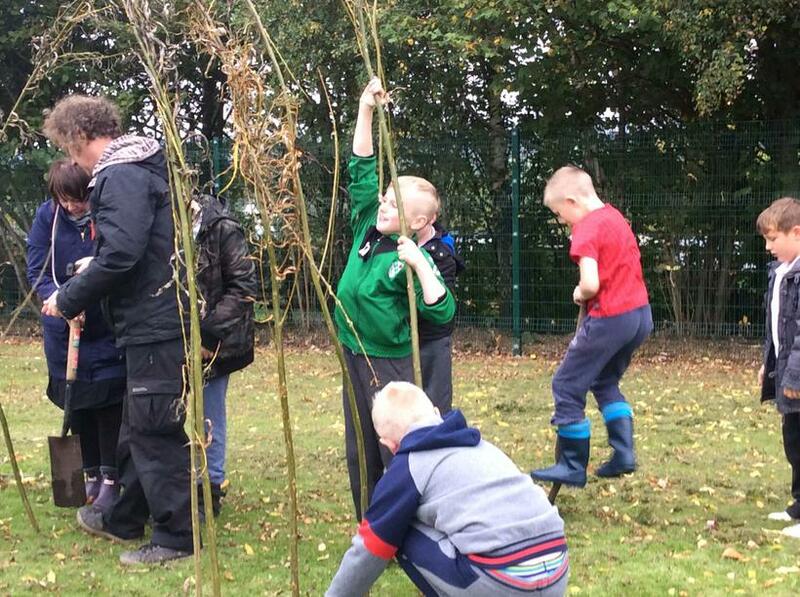 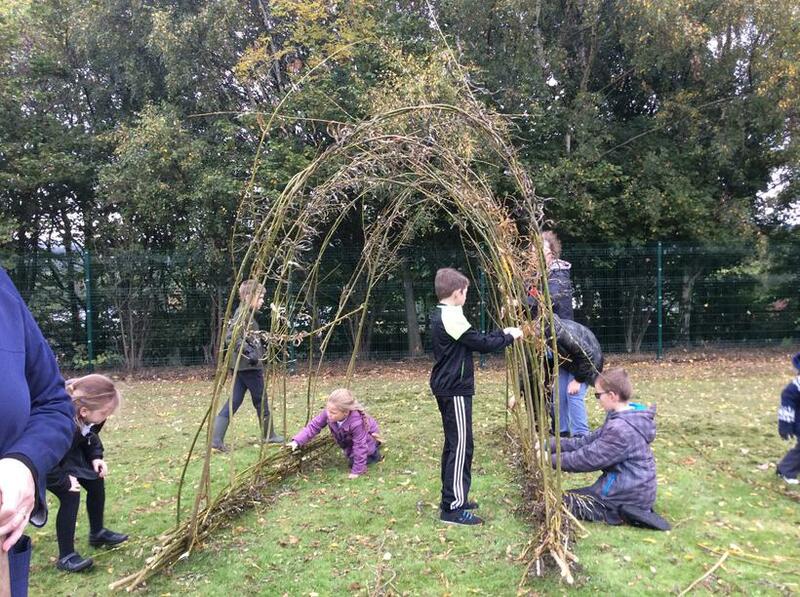 Next, the art group from Creative Courses rolled up their sleeves and built a willow arch inspired by Andy Goldsworthy. 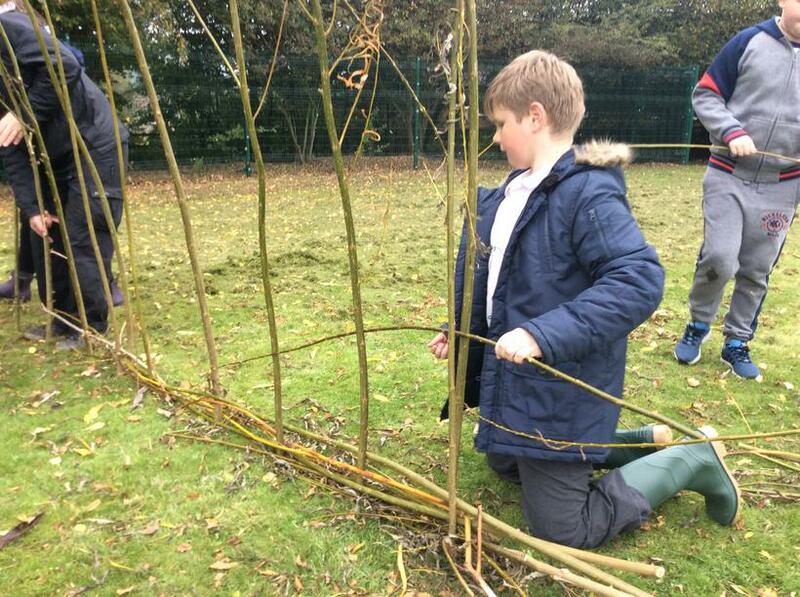 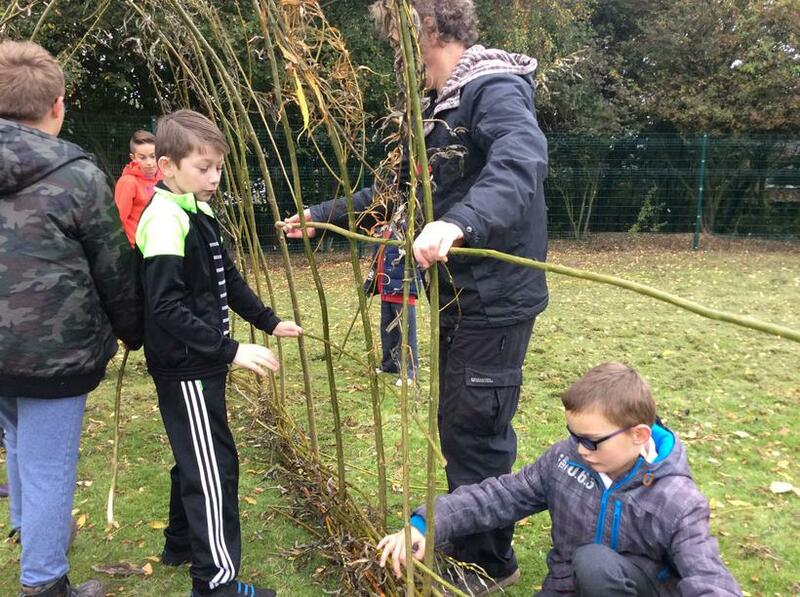 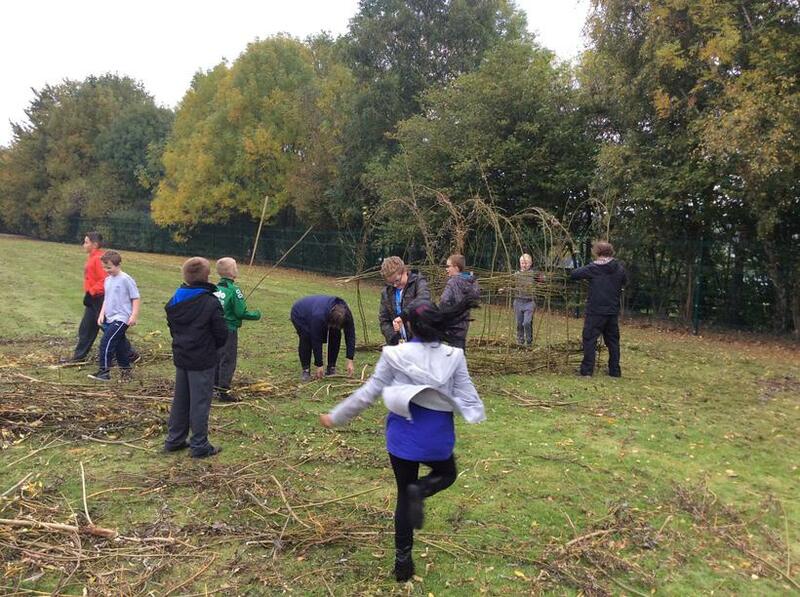 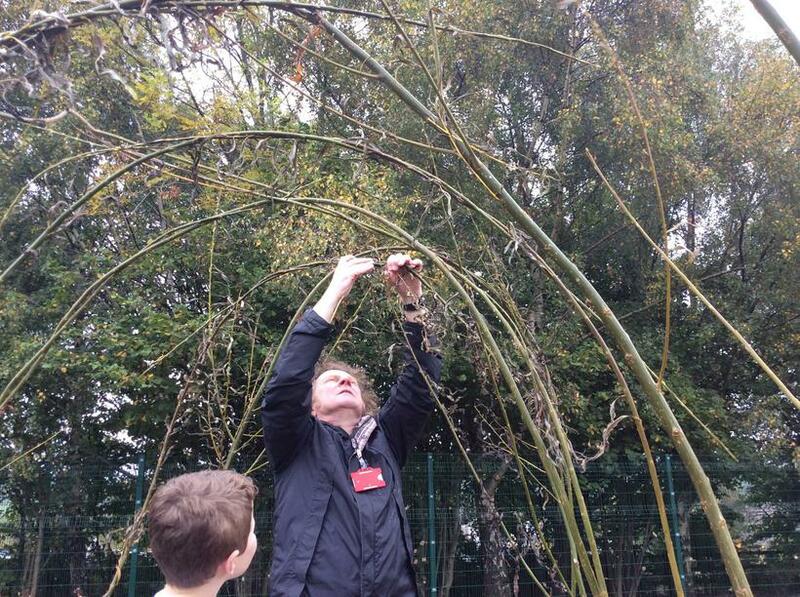 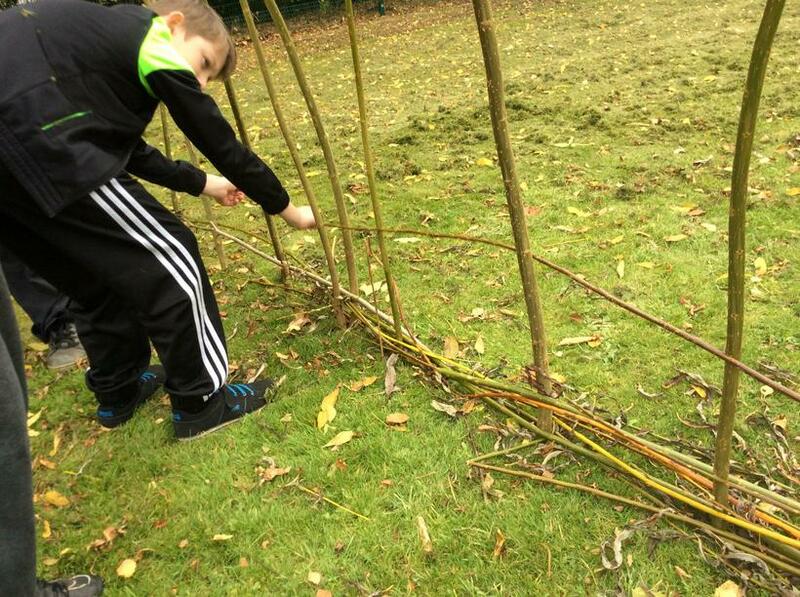 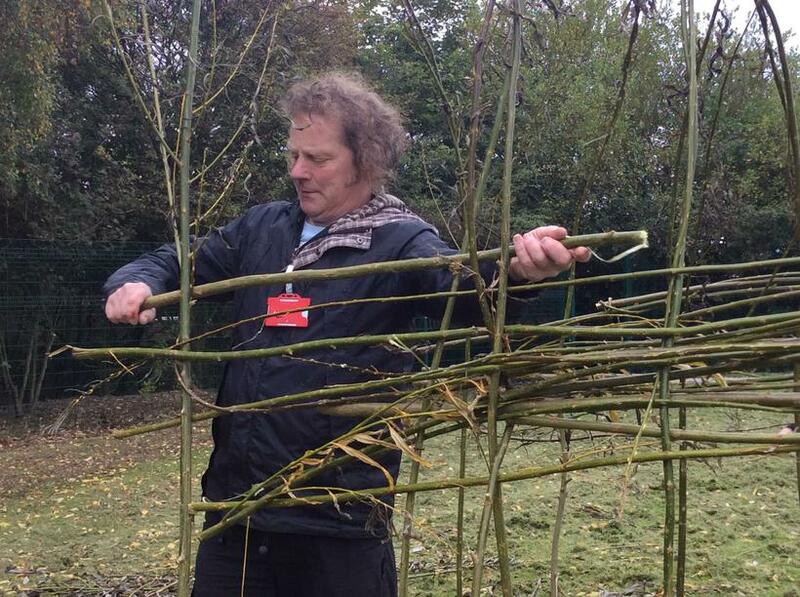 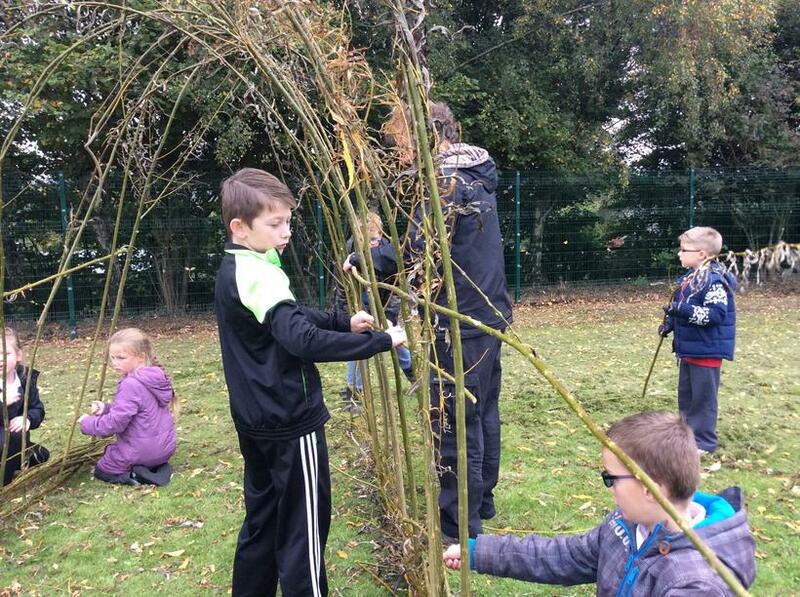 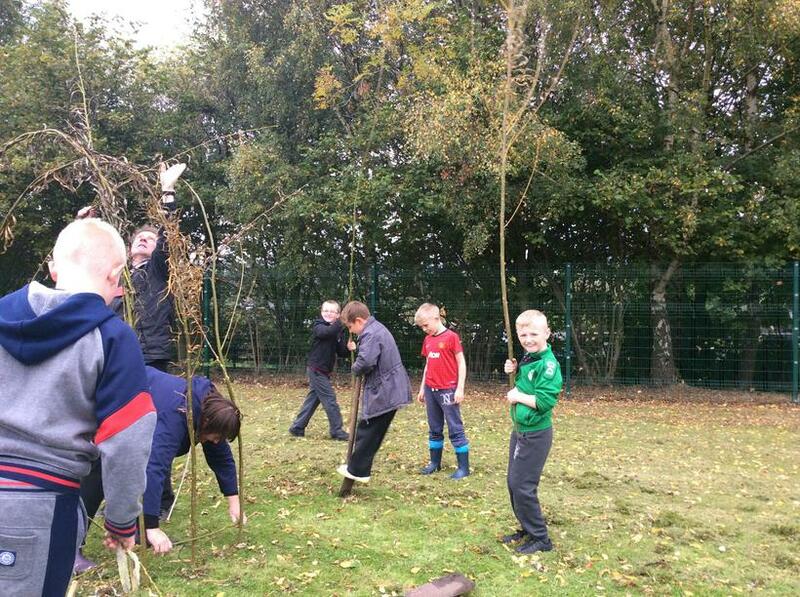 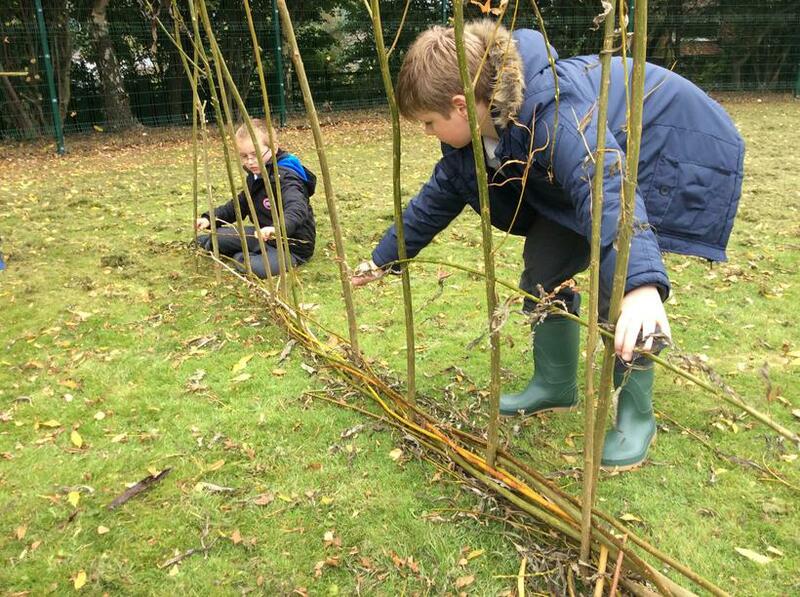 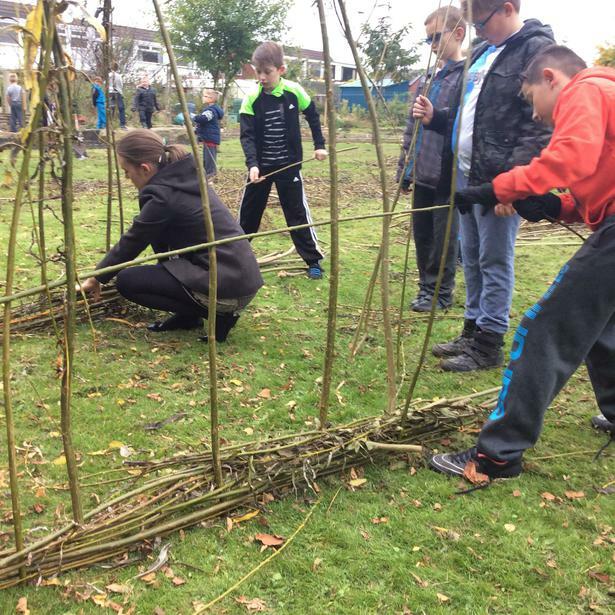 We used all the cut willow from Reception classes' willow dens and weaved to give the arch structure stability. 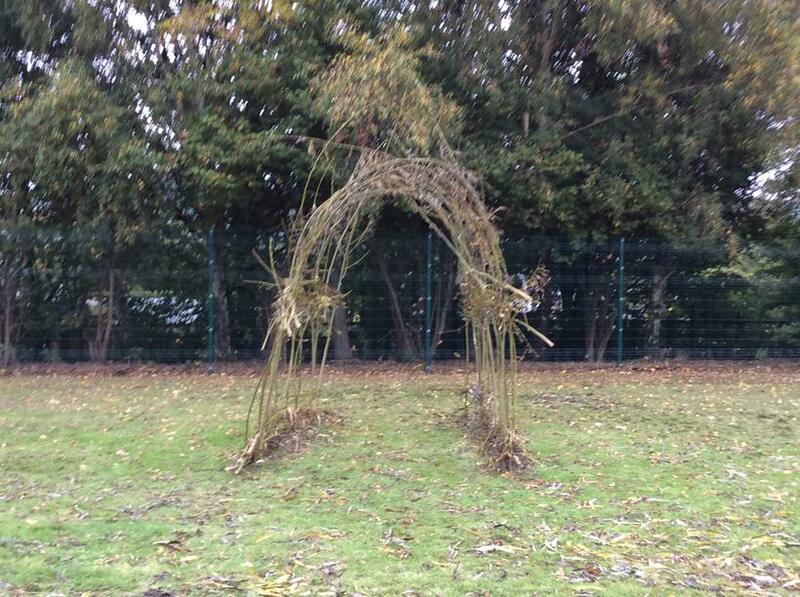 Hopefully the arch will start to grow in spring, as fresh willow will root easily if just pushed into the soil. 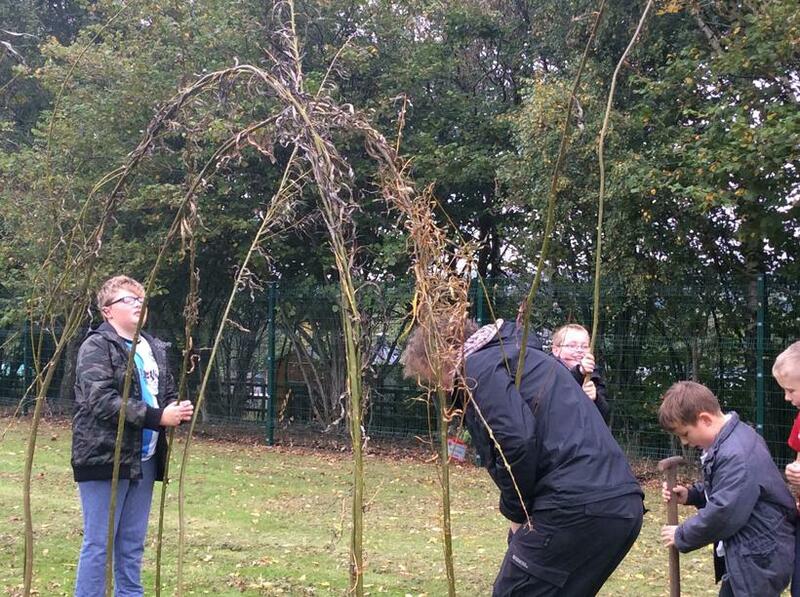 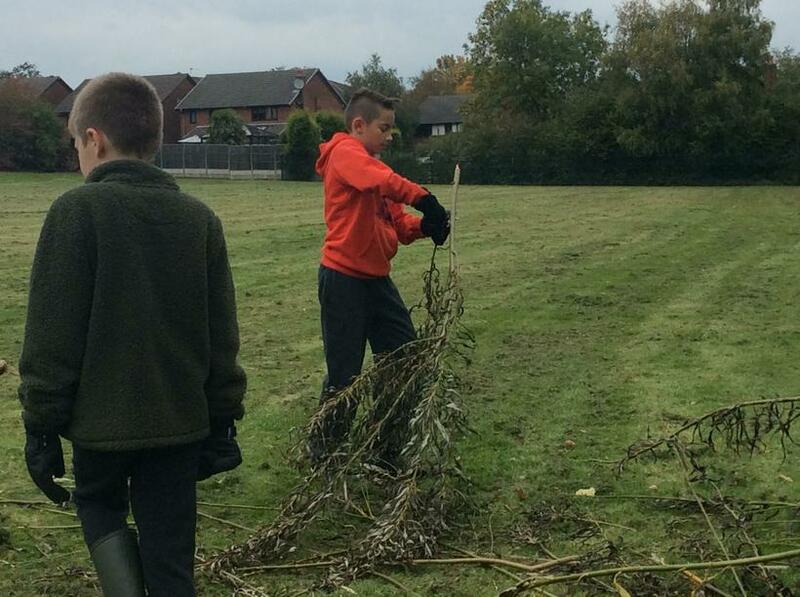 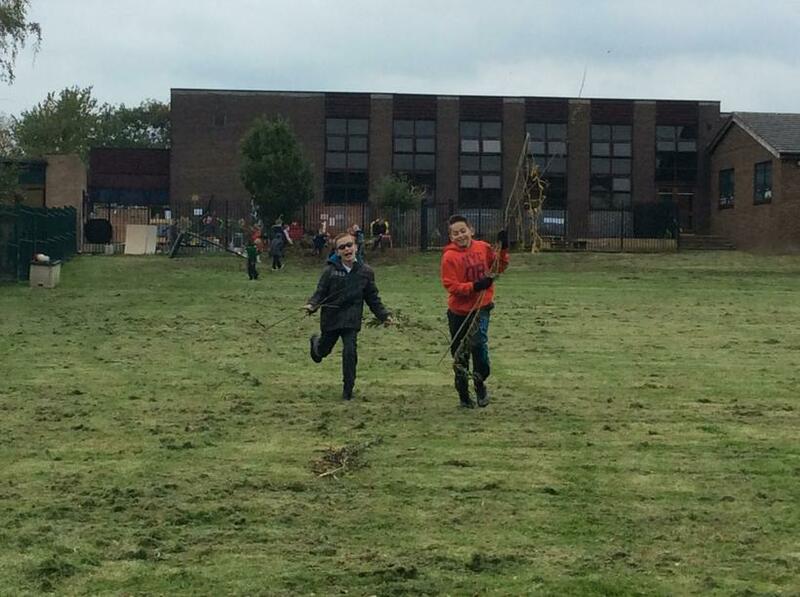 Class 6 were treated to a visit from a Chorley Ranger and took part in some ephemeral art of their own. 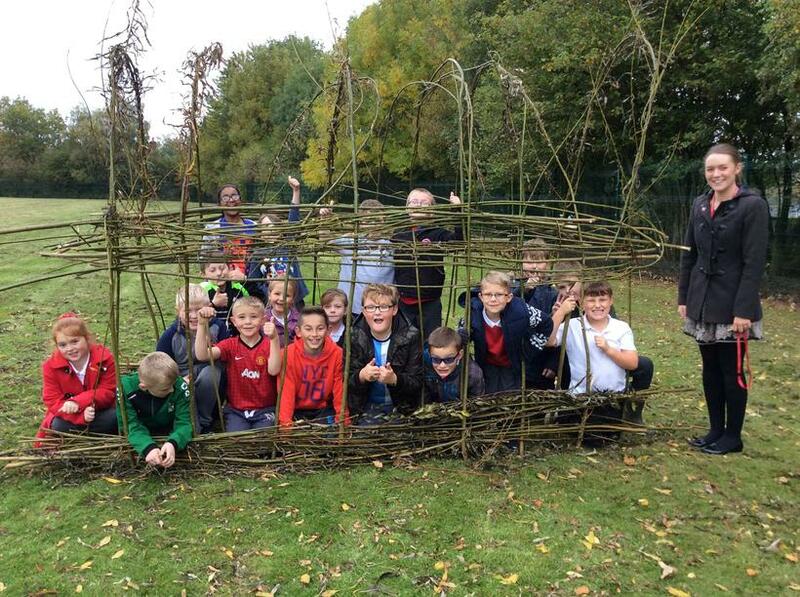 See if you can spot what we made from natures goody bag!